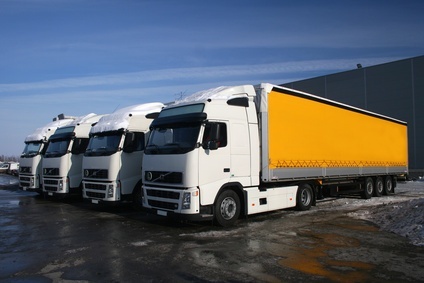 Fleet tracking not only helps a company keep track of employee production and company vehicles, a GPS tracking unit in a vehicle also helps secure the safety of a company’s most valuable asset: its employees. By using a GPS tracking device, vehicles can be monitored while driving in high risk areas. Employers can also track how long an employee’s vehicle is in a certain area and when it should be returning. When using a geofence, one of the capabilities of the GPS Commander fleet-tracking system, employers can be notified when the vehicle travels inside or outside a specific pre-determined boundary, through a computer alert or by smartphone. If there is an emergency, an employee driving a vehicle with a GPS tracking device can quickly summon help, allowing employees and their passengers to have peace of mind while traveling. If the employee becomes stranded or is in an accident, the GPS tracker can determine the driver’s precise location. Staff can also assist in securing employees’ safety by routing the vehicles using Google satellite view. GPS fleet tracking devices also allow employers to monitor the driving habits of its employees. The GPS unit can track the driver’s speed in real time and remind them to slow down. This helps to improve driver safety by reducing speeding and therefore, accidents. Did you know that a vehicle is stolen every 32.2 seconds in the United States? Vehicles equipped with GPS tracking devices are almost guaranteed to be recovered and in a timely manner. Having a GPS tracking device enables a company to reduce hazards and ensure the safety of their employees and their vehicles at all times.